Some albums don’t have to be game-changers to be very, very good. ƒIN is one of them. It has accrued acclaim from critics both in and outside the electronic music community since its February release, and deservedly so – no big hype cycle, no overblown hyperbole or marketable backstory, just a really solid record from an artist plying their trade to the best of their ability. Isn’t that refreshing? 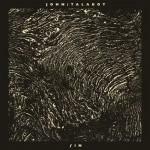 While it may be John Talabot’s debut, ƒIN has not come out of the blue; he has spent many years DJing and producing in his hometown of Barcelona, but changed his tune and adopted a new alias for the purpose of this release. And it shows – it would be rather remarkable for this record to be that of a novice, as it is an extremely accomplished work, striking in its exceptional attention to detail at every level. Take the slow-burning opener Depak Ine, which works effectively as an introduction to the wider album as each element creeps into focus: female vocals, strings, even frogs – it is positively pulsating with life, richly textured and immensely enjoyable. A key mark of Talabot’s skill as a producer is his ability to create busy tracks that neatly sidestep the pitfall of sounding cluttered. The sweeping, up-tempo Last Land also has many layers but they click and move in synchronicity, somehow both independent of each other and interlinked. It’s not an easy task but Talabot nails it. The music inside is largely an easy-going middle ground between indie pop and disco-inclined house, although leaning more towards the latter on balance, infused with world influences and bringing across a warm, breezy and almost tropical feel, as on Journey, deeply evocative of the likes of Yeasayer or Delorean, whose lead singer it features. The sound is rich, lush and, most crucially, deep, but without sinking into the often turgid pace of straight-up deep house. Every track here has a great groove and a knack for a pop hook and this is what elevates ƒIN above many other electronic records. Tracks such as Estiu and Oro y Sangre roll with a certain spring in their step, deploying beautiful synths to great effect and leaving subtle effects to ping around the mix.Talabot even dips his toes into more atmospheric pools, most notably on El Oeste, which sounds like a hazy recollection of a Space Shuttle launch as notes fold over one another in a gentle fashion, occasionally augmented by bursts of snares. The record makes for wonderful background listening but also has a good handful of tracks that would tear up a dancefloor in the hands of the right DJ. When The Past Was Present is a shimmering, euphoric disco house number, not too dissimilar to the kind Nicolas Jaar was making in his infancy, and standout Destiny is genuinely fantastic, glistening with clean production, underpinned by a powerful beat and huge vocals. It works as an immersive and rewarding headphone record just as well as an eminently danceable one. Modestly anthemic and quietly brilliant, ƒIN is worth the time of any music fan that considers themselves in the slightest bit interested in electronic music.